I feel like we are just getting into the “fun food” stage with my toddler, Lola. Up until a certain point, you can totally shape their meal into a face or make a sandwich look like a penguin or whatever, but you are going to get no reaction at all from them because they are still too little to even notice or recognize the effort! Lola is getting pretty good now at pointing at pictures or drawings of animals that she sees out and about and making the sound that corresponds with the animal. 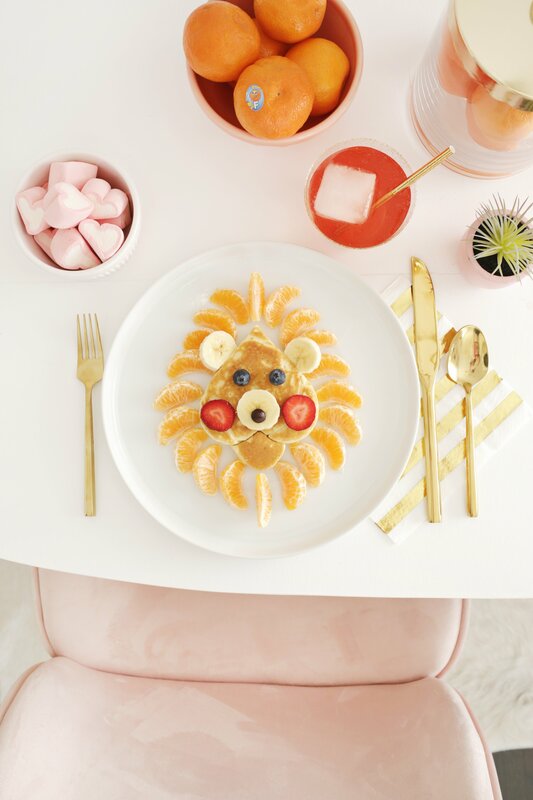 So I think it’s about time we got more into the decorative food category and Valentine’s Day seemed like the perfect time to have fun with some heart-shaped pancakes for a V-Day family breakfast! 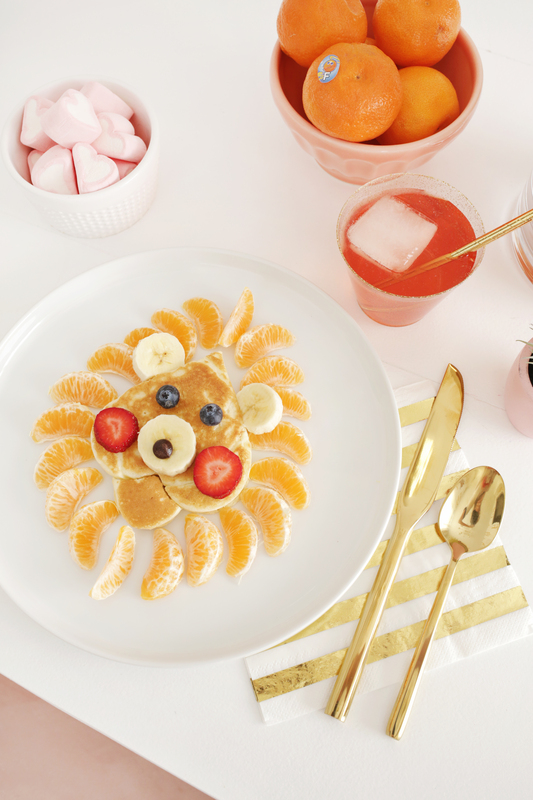 Lola eats fruit at pretty much every meal, so I wanted to incorporate some yummy fruit with the pancake. 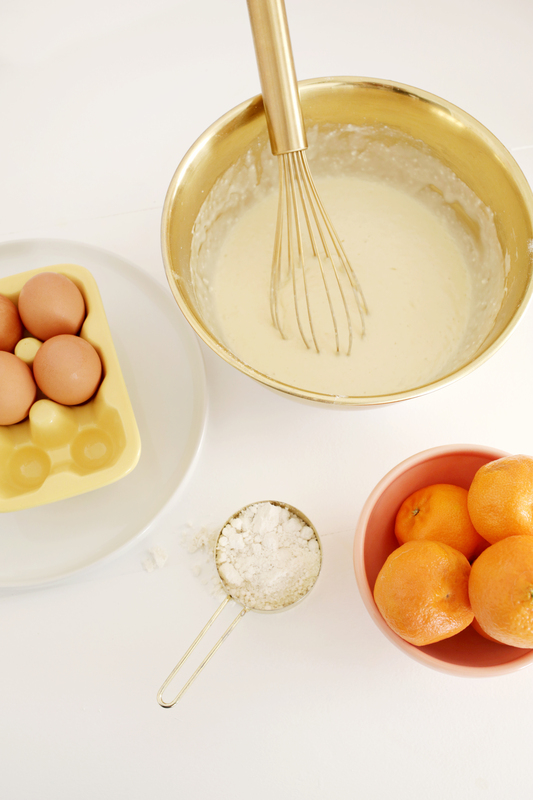 We partnered with Wonderful Halos on this post. 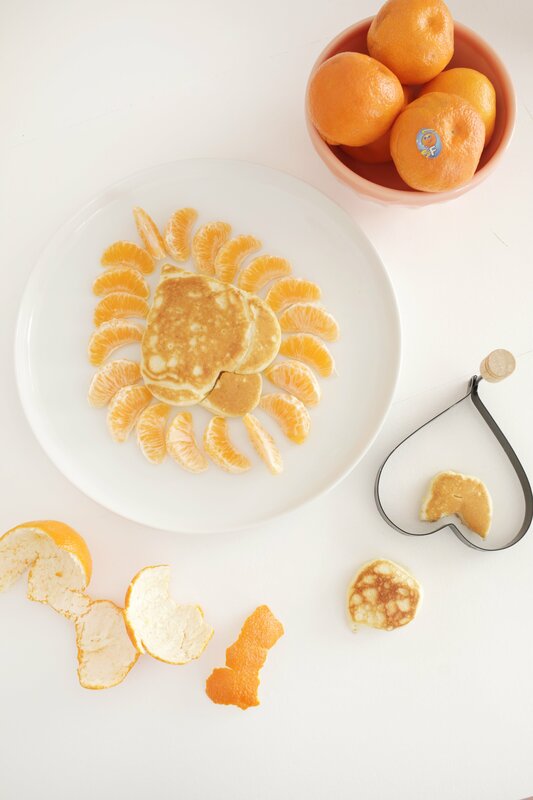 Wonderful Halos mandarins are the perfect addition to my pancake face since they are sweet, seedless and easy to peel. They are a delicious, healthy and satisfying snack that both parents and kids love, and if you ask me, they are always a good snack choice! 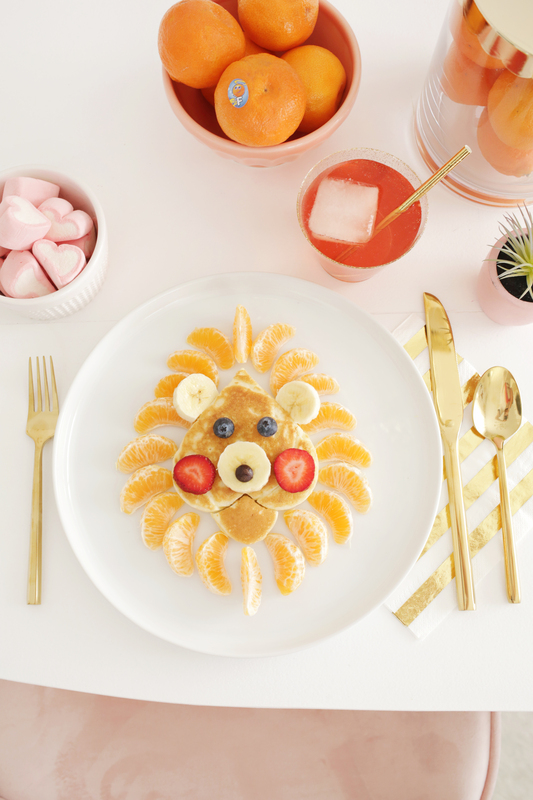 To make my lion face, I used a heart pancake ring in a hot buttered skillet to make heart-shaped pancakes (you can use a mix or one of our yummy pancake recipes) and then peeled my Halo mandarins and separated the segments so I could fan them out like a mane around the face. 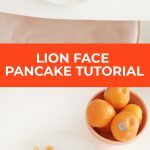 I also made a few small circle pancakes to cut in half with the top “V” of the heart pancake ring to make the chin of the lion that fits into the upside down heart. It looks so adorable! 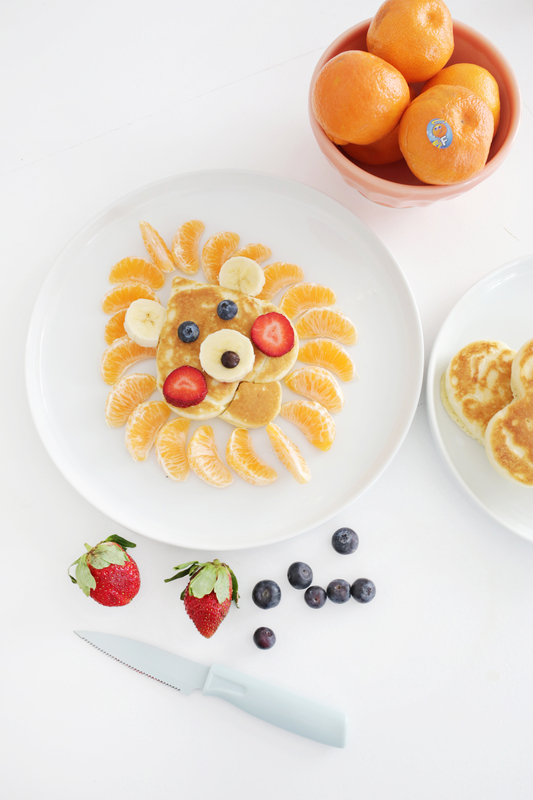 You can use whatever fruit you like to decorate the face, but I used strawberries for the cheeks, a banana slice and a chocolate chip for the nose, banana slices for the ears, and blueberries for the lion’s eyes. Now he’s ready to serve! How fun and what a cute idea! My kids love Halos. 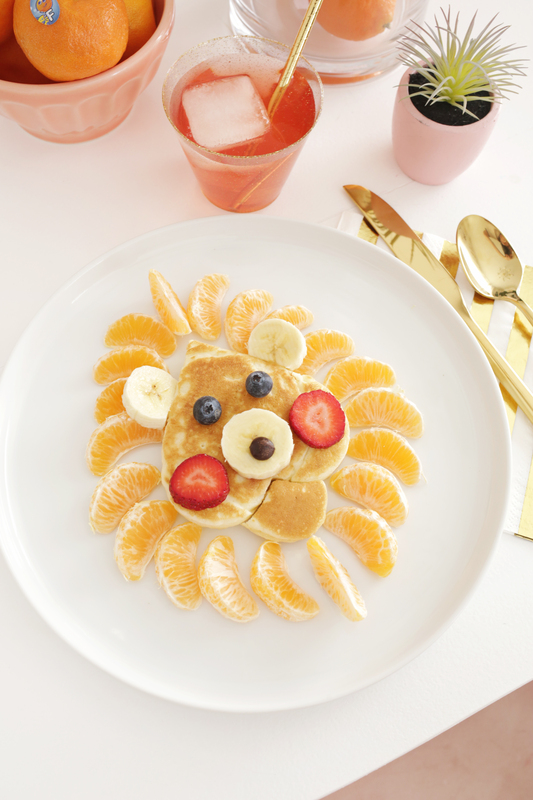 They are older now but I remember when my daughter was little I made a silly-face pancake, thinking she’d be surprised and love it, but it scared her and she cried!! I’m thinking if it had been a recognizable animal, like this one, she would have loved it. 🙂 It’s funny now when we tell the story but I felt bad when it happened. Omg what a cute idea. Harlow will love this! Oh my goodness, this is SO CUTE. 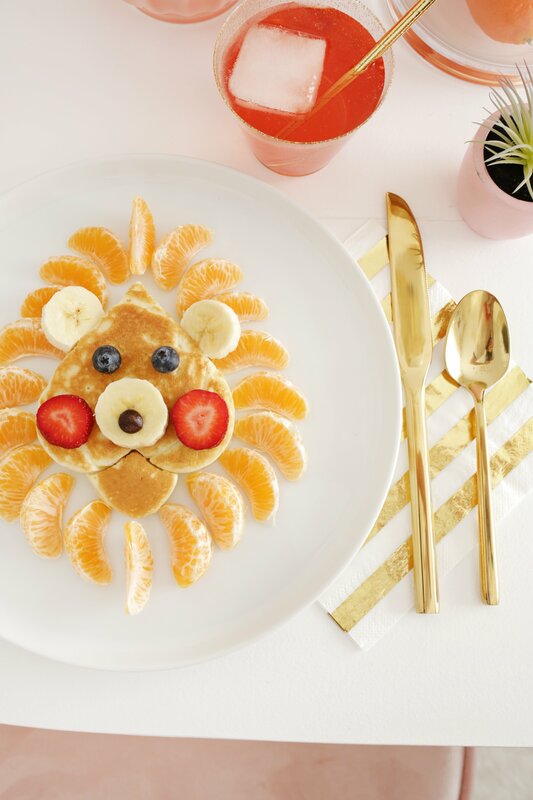 I think my daughter would love this, lions are one of her favs right now! Ugh, this is SOOOO cute! Think the girls would LOVE this, so I am sure going to give this a try! So cute! Where are the utensils and tools from? Your website is best recipes I like it.